Going in to Saturday's poll, leader Pauline Hanson repeatedly tipped the party could replicate the success of the 1998 election when it secured 11 seats and possibly hold the balance of power. While there are still a number of seats in play, it's clear the party will be lucky to maintain its presence in parliament. "This is going to be the real beginning and resurgence of One Nation," she told AAP. But the flow of preferences did not work in the party's favour and it failed to make a mark. "I still have faith in Steve," she said while standing beside him in Buderim. Senator Hanson also said preferences would flow Mr Roberts' way in Ipswich. "There's still preferences and a lot of people don't follow the how-to-vote cards," she told reporters. "Where just going to wait and see." But Mr Roberts conceded defeat shortly after. He’s in with a chance. 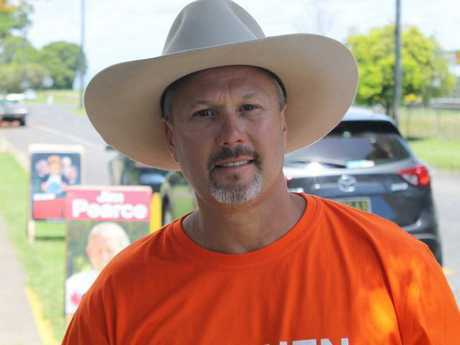 One Nation candidate for Mirani Stephen Andrew is likely to be elected.